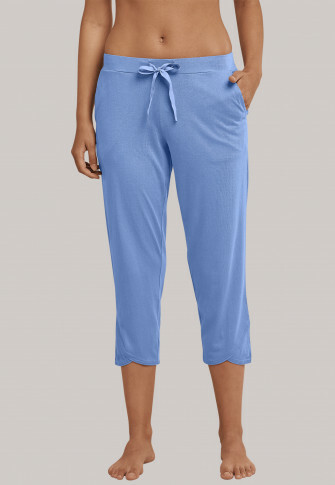 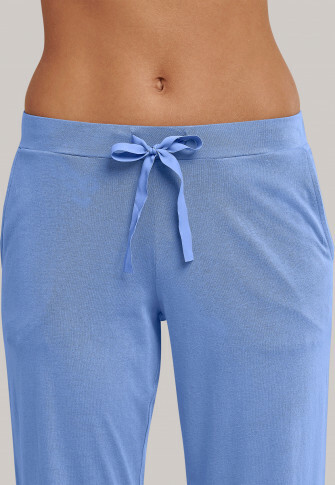 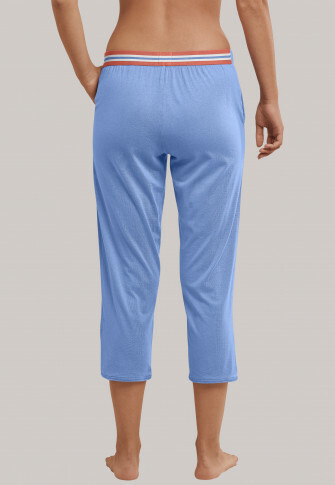 Sporty, feel-good look meets stylish details in these 3/4 length, Atlantic blue women's pants that feel wonderfully soft on the skin with soft single jersey of cotton and modal. 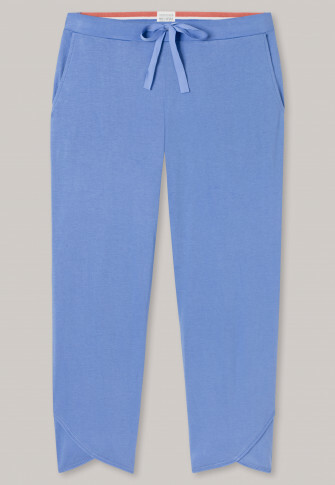 diagonal side pockets, the smooth waistband with drawstring and the overlapping look on the cuffs underline the relaxed character, supplemented by the woven elastic waistband at the back in terracotta, white and Atlantic blue. 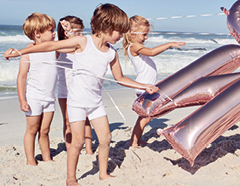 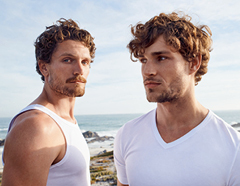 Mix with your favorite shirt and enjoy the SCHIESSER quality!